Are your suede boots looking a little tired and worn, or has the color faded? Before relegating them to the trash, read our guide on how to dye suede boots. This natural leather can be transformed easily and quickly, using a dye to give them a new lease of life. You can restore their existing color and give them a completely fresh look. Let’s find out what you need and how to dye your suede boots. Is Suede a Good Material to Dye? The answer to this is yes. Suede is formed from the underside of animal skin and is a very soft and porous leather. It’s thinner than many other types of leather and is easily stained or marked, especially when exposed to water. It’s the softness and porous nature of the material that allows dyes to be easily absorbed, renewing the color. There are dyes which are specially formulated for use on soft leathers, such as suede. These will be able to penetrate the layers and give a good finish. There are caveats, though, when it comes to color. You won’t be able to dye a dark color to a lighter one. The paler the color of your suede, the better it will take a dye. Make sure you shop around to find a color that will suit and blend with your wardrobe. Usually the darker and bolder colors offer more effective results. You can choose between products from many different brands, such as Fiebings, Angelus and Dylon. You need to make sure your boots are prepared properly before dyeing them. The more time you spend making sure your boots are ready for dyeing the better results you will get. The boots need to be clean and free from dust and dirt, so the dye can work. Using a suede brush, sweep it vigorously over all the outer surface of the boots, this will remove debris and dirt from the surface. Remember to brush in all directions, to make sure the nap is raised. If your boots are particularly grubby and dirty, you might need to clean the suede first. 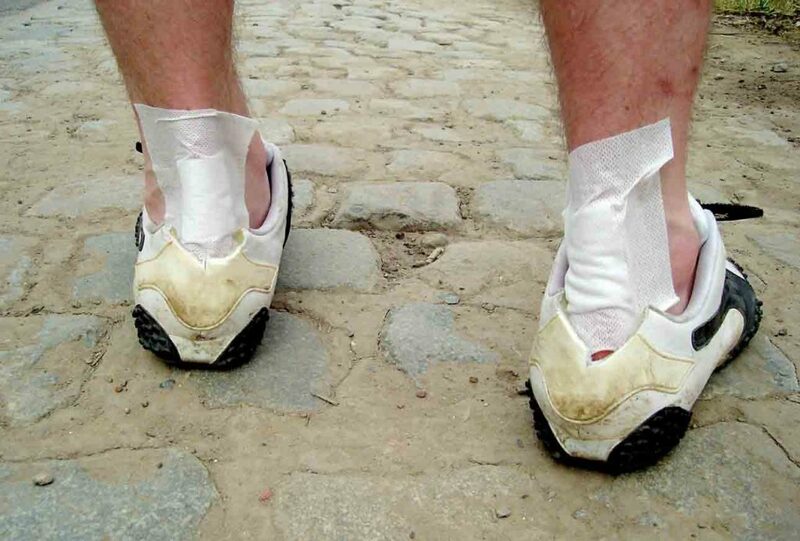 This can be done by using a damp sponge to wipe over the entire surface of the suede. Make sure the sponge isn’t wet, by squeezing it out first. It’s important to cover the entire boot, too, ensuring you don’t get water marks. If you have stains from oil, or more stubborn marks, you can use a suede eraser to try and remove them. Use it in the same way as you would a pencil eraser. Oil might need treating with cornstarch. Simply sprinkle it over the stain, leave it overnight to absorb the oil and then brush it off. Finally, you need to remove any laces and protect any other hardware, like zippers and buttons. Suede dye is likely to stain anything it comes into contact with. You can use painter’s tape or similar, cut into small strips, to protect anything you don’t want to be dyed on the boots. Stick it over buttons, logos, stripes, sequins or zippers. If you don’t want the dye to mark the sole of the boots, it’s a good idea to tape this as well. Now your boots are fully prepared, it’s time to apply that new or restorative color. Cover the work area with old rags or newspaper. Stuff your boots with newspaper or old rags, crumpled into balls. This helps them hold their shape and prevents the dye bleeding on the inside of the boots. Remember to take the stuffing material right to the top of the boots. Take your applicator or brush, ready to apply the dye. The applicators provided with suede dye tend to be a cotton ball on the end of a piece of wire. 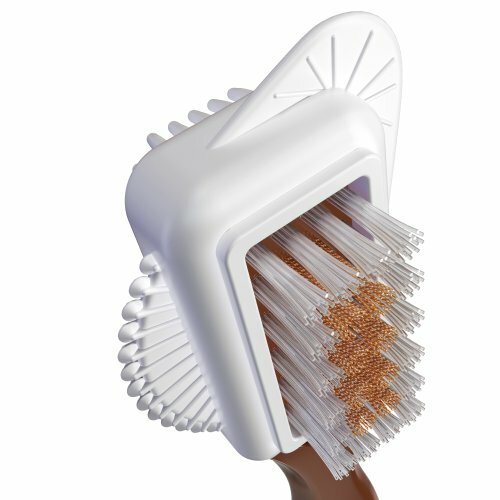 A bristle brush, such as this from Redecker, might do a better job. Put on rubber gloves to protect your hands from the dye. Open your container of suede dye. Dip your brush or applicator in the dye. Wet it thoroughly and allow the excess to drip back into the container. You should have approximately half a teaspoon of dye on the applicator brush each time. Begin to apply the dye to the boots, starting at the heel or toe. Apply in small amounts, you can always add more later. Don’t use too much dye, so your boots don’t get oversaturated. Use circular motions to massage the dye into the boots. 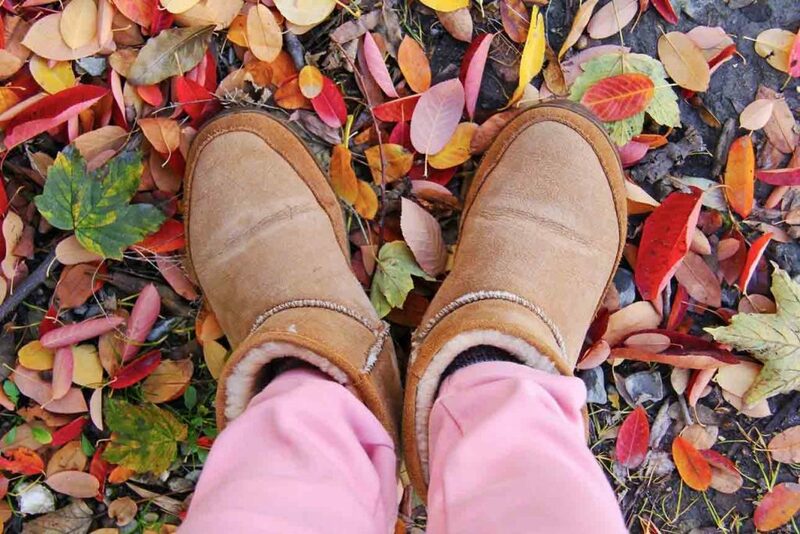 Spread the dye evenly over the entire outer of your boots. Allow the first coat of dye to dry at least overnight, or preferably for 24 hours, in a well-ventilated place. Try not to handle the boots at this time, as the wet dye will rub off. Drying times can vary from as little as a few hours, depending on the dye, the boots, and the drying environment. If you want a darker color, or the finish is uneven when dry, repeat the dyeing process. Make sure you let each coat dry well before applying the next. 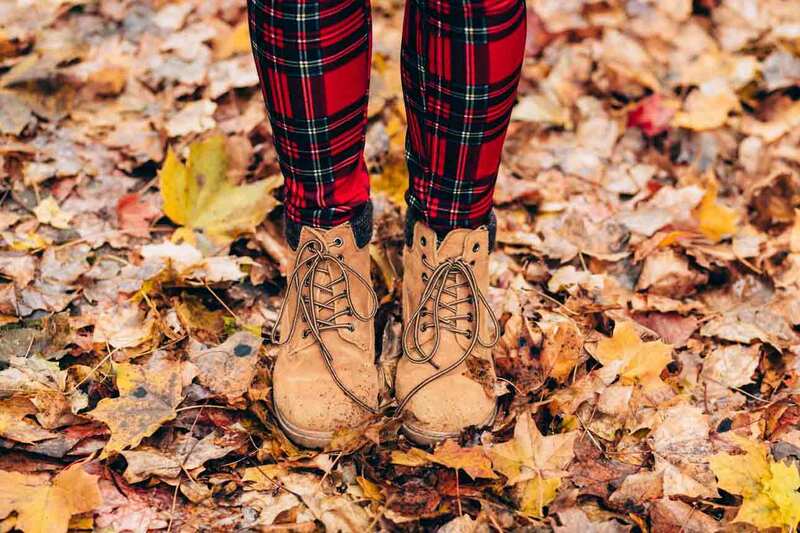 Make sure the boots are packed well, so any creases in them are pushed out, preventing the dye from pooling in them. The first coat of color may dry lighter than expected, so wait before applying more coats until you know how it reacts. Layering too many coats can dry out the suede. Don’t put too much dye in one area, it can cause dark spots which will be hard to even out. Work methodically and slowly, to get an even coverage. The stitching on seams might not take the color as well, synthetic thread may not be as absorbent. This video from Wholly Natasha shows a pair of suede boots being dyed. Now your boots have been dyed and dried, there are some things you need to do to look after them. Firstly, use a suede brush to raise the nap again. It will have been flattened by the weight of the dye. You could use a hairdryer on a cool, gentle speed to ensure all the small fibers are dry. 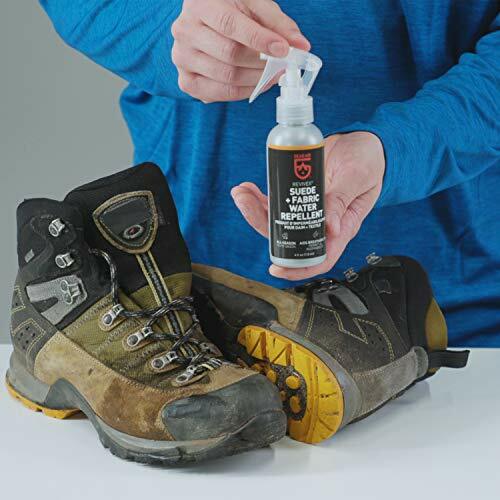 Next, you need to treat your boots with a silicone or acrylic waterproofing spray. This will help repel water and prevent the dye from running. Use a spray such as Gear Aid Revivex. Hold the container about 6–8 inches away from your boots. Give them an even spray. Make sure you cover all the boots, including the heels. Allow to dry completely (this may take a few hours). Waterproofing sprays can have a strong smell. Make sure you use them in a well-ventilated area, or preferably outdoors. Applying a few thin coats over a day or so can enhance the effect. Waterproofing your newly dyed boots will help seal in the color. Make sure you brush your newly dyed boots on a regular basis to keep them looking good. As well as raising the nap, this will ensure they stay free from dust and dirt. 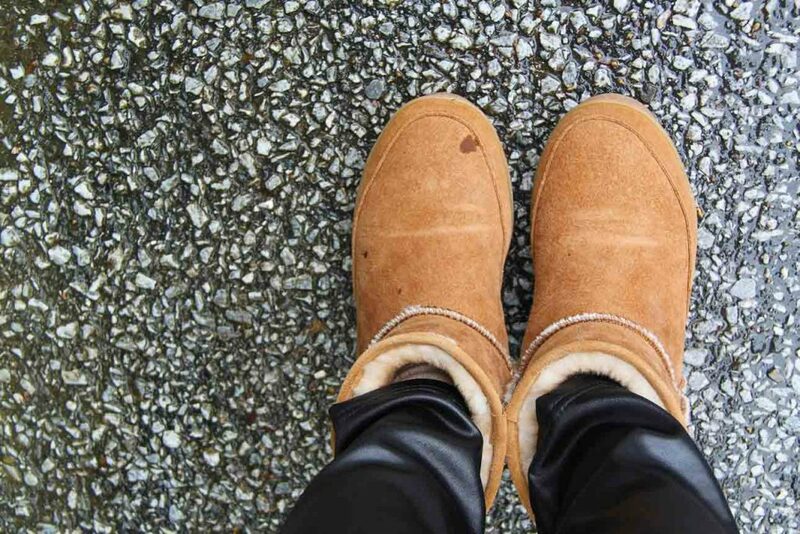 Sometimes it’s unavoidable, but wearing your refurbished suede boots in wet conditions can cause the dye to run. This can happen even after waterproofing them. 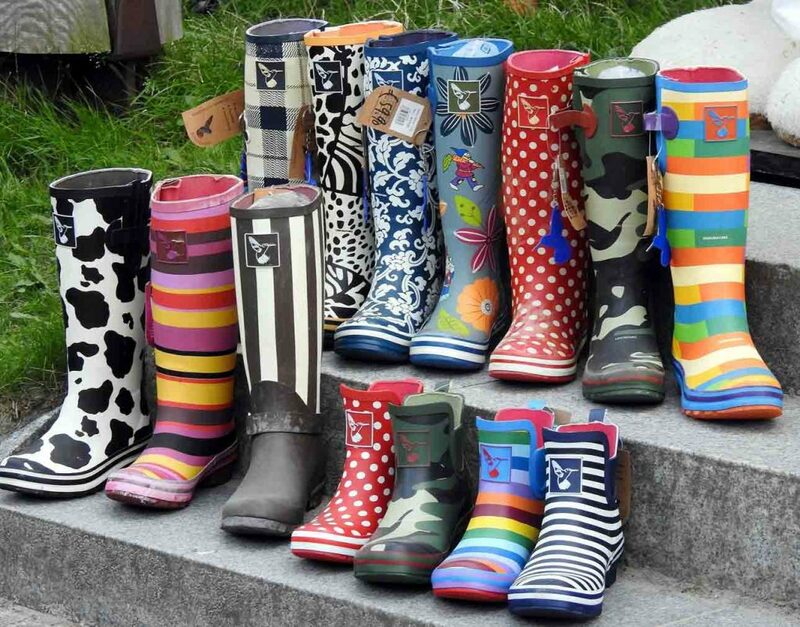 Reserve your newly dyed boots for days when you won’t encounter puddles, wet grass and other watery situations. Storing your shoes properly can also help extend their life. Make sure they have plenty of ventilation and can breathe. A dust bag or an old pillowcase will help keep them protected without adding any unnecessary moisture like a sealed shoe box can. Don’t store suede shoes anywhere they can absorb a lot of moisture. They need to be kept dry to preserve them. Damp places can cause mildew to grow on them. Another way to prevent suede boots from losing color and fading is to make sure they aren’t stored in direct sunlight. Don’t leave them hanging around in your mudroom, basement or garage. 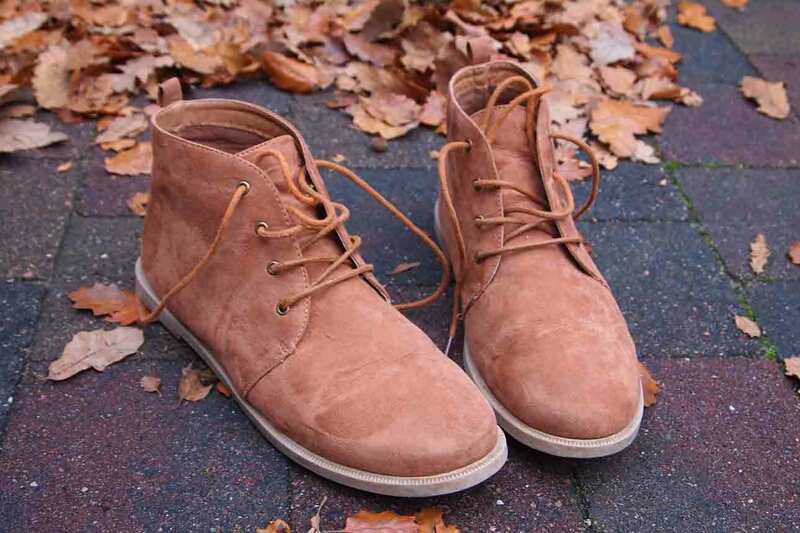 Now you can see that your faded or tired suede boots can be revived with a bit of tender loving care and some suede dye. After all, these are generally an investment you will want to protect. You can match them to new outfits or just revive their old color and make them as good as new again. 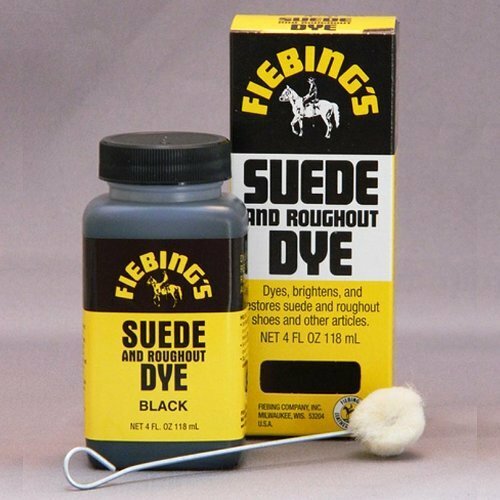 Suede dyes are inexpensive and readily available. Just remember, if your boots are a darker color, then black or a very dark brown may be your only option. We hope you enjoyed our guide and now you know how to dye suede boots. We would love to hear your own experiences, please leave us a comment. If you know anyone else who could use this guide, don’t forget to share.